The same NY Times that always flogs the fake “Runaway Global Warming” and “carbon” scare is being dishonest here, too? 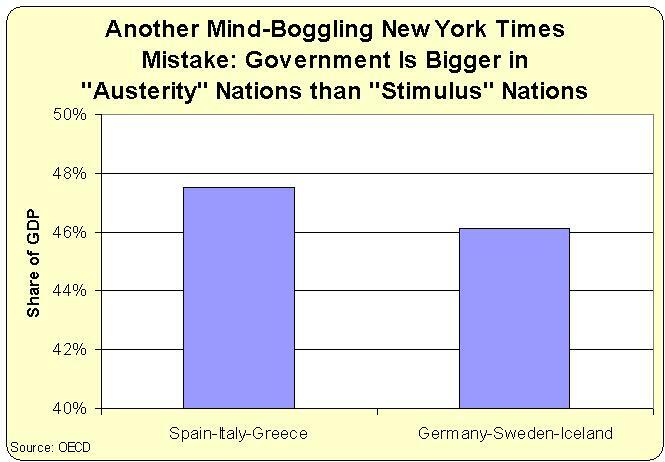 The Greek economy collapsed, so spending as a percentage of GDP will tend to increase. Many studies of alcoholics have shown that those who gave up drinking typically fared worse than those who kept drinking, in the few weeks after cessation. They suffered withdrawals, many with significant negative consequences. Therefore, the consensus is forming that the best overall approach is to keep drinking. The same continuation approach is suggested to those nations who delusionaly aspire to avert decline by collectivizing individual effort.